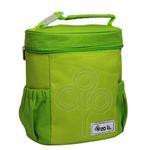 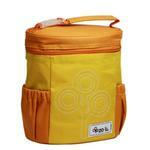 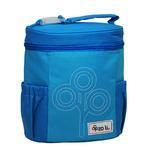 Pack all your lunch goodies in the insulated NomNom BAG. 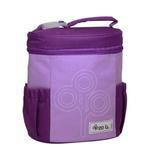 The roomy interior is designed with an adjustable divider to keep your hot foods separated from your cold foods or collapsed to the back if not needed. 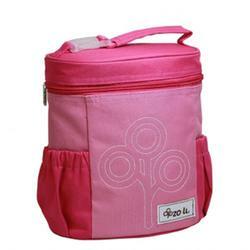 NOMNOM BAG has an easy to clean durable 600 dernier polyester exterior and aluminum lined interior and comes with lots of pockets to hold goodies such as extra snacks, ice pack, napkins or utensils.